If you are seeking short-term funding in the form of a payday loan or title loan, you don’t have to worry about your credit. Thankfully, these kinds of loans can still be obtained, provided you have a job, checking account, and, in the instance of the title loan, a runnable vehicle that has a free and clear title. That all being said though, you still need to work at raising your score if it’s in the basement. The best way to accomplish this feat is to wisely utilize your credit. If you don’t have a credit card, it’s important to obtain one in order to build your score. Try obtaining a secured card if you can’t get approved for a bad credit card. With this kind of card, you are issued a credit limit or line of credit equal to your deposit. So, if you deposit $200, you will have $200 of available credit. Make sure you choose a card that reports to all the credit bureaus. Otherwise, you will defeat the purpose of obtaining the card in the first place. Your credit score will substantially take a healthy jump too if you demonstrate your ability to make payments on an installment loan. Installment loans include financing for automobiles, personal loans, student loans, or mortgages. If you don’t have an installment loan currently featured on your credit report, you might want to take out a very small personal loan now. Once more, make sure the payments can be reported to the major credit reporting agencies. 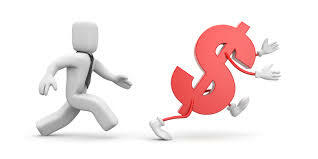 The best places to obtain such a loan are through a credit union or a community bank. If you do have credit cards or revolving charges, then you can give your credit score another boost by either paying down the loan amounts or completely paying them off. Lenders like to lend money to borrowers who use far less credit than what is available to them. So, if you want to increase your score and rate of acceptance, maintaining balances that are around 10% of the limit will assist in this regard. While most financial experts suggest paying off the cards with the highest rates first, it may be a better move to pay down those cards with balances that are closer to the set limits. Therefore, don’t allow the balances to soar on your credit cards. Balances on your cards’ previous statements are reported to the credit agencies. Make timely payments on installment loans and revolving charges, and make sure the balances on the charges stay at around 10% of the established credit limit. If you want to increase a bad credit score, these methods will help you improve your credit standing and ability to obtain future credit and loans.